Plasticulture will play a continuous increasing role in the growing demand of the mankind feeding. 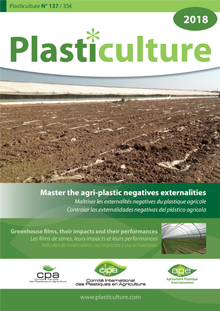 Plasticulture improves production in quantity and quality, using less pesticides, fertilizers, waters, etc. Since the beginning, the plasticulture community is involved in the environment protection, reducing the negative impact of the agricultural production. Once collected, plastics wastes from agriculture can be recycled. 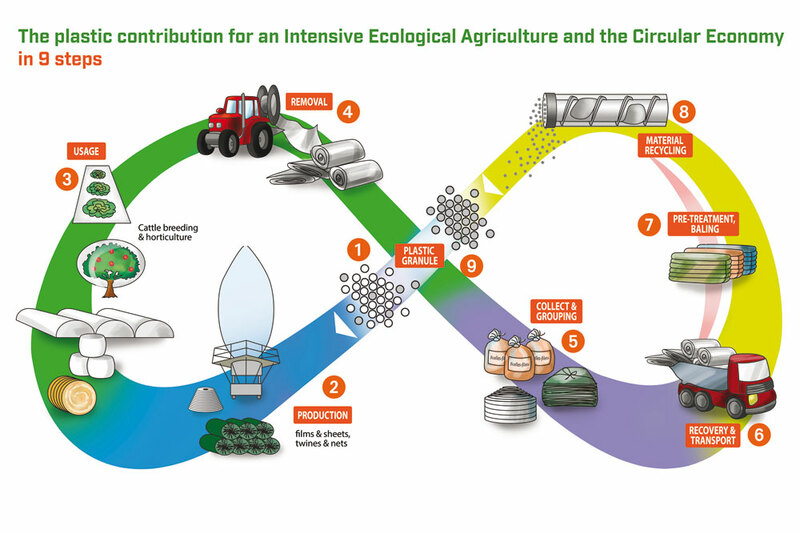 ECOLOGICAL AGRICULTURE AND THE CIRCULAR ECONOMY. The CIPA develops its activities toward the organization of international symposia “CIPA Congress”, the international review “Plasticulture” and exchange with national and international associations, companies and organisms involved with plasticultures. Are related with “plasticulture” all plastics products used to insure the agricultural production. Are considerated all non-packaging products for vegetable (greenhouses, small tunnel, mulching, net, irrigation…) or animal production (silage, stretch, twines, nets…). Mainly made of low density polyethylene or polypropylene polymer, plasticulture consider also degradable and biodegradable products.